Olivia Barbara, b.1839, d.06-08-1871 Victor Alexander, b.13-04-1840, d.18-10-1851; Charles Fox, b.05-06-1841, d.30-03-1860.. 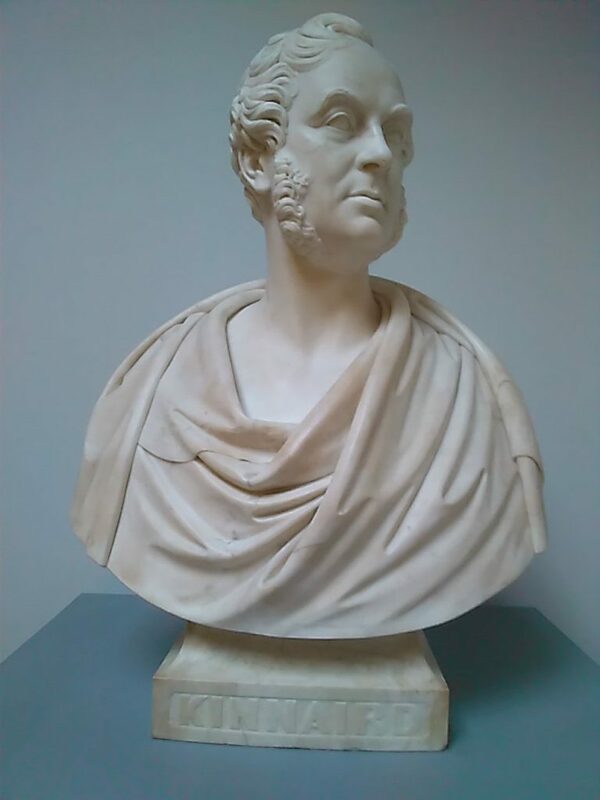 Commissioned by the Grand Lodge of Scotland as provincial grand master for eastern division of Perthshire, 1829 and grand master of Scottish Freemasons, 1830-1832; president, Dundee Horticultural Society, c.1829-1830; vice-president, Dundee Royal Infirmary, c.1834-1878; president, Watt Institution, Dundee, c.1845-1847; patron, Perth Anderson Institution, 1850-1853; Anti-Corn Law League; Dundee Band of Hope; president of Dundee Industrial Schools Society, c.1850-1878; director, Dundee Working Men's Coffee and News-rooms, c. 1853-1878; president, Dundee Model Lodging House Association, c.1856-1872; director, Baldovan Asylum, c.1858-1878; patron, Dundee Philharmonic Society, c.1861-1865; president, Perth Ornithological Society, 1858-1859; convener of finance committee, Perthshire court of lieutenancy, 1858-1863; president, Perthshire Poultry Association, 1860-1863; chairman of county public buildings committee, Perthshire court of lieutenancy, 1862-1863. 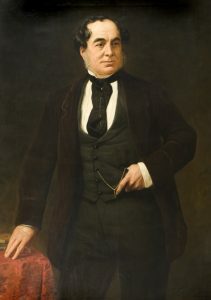 Scottish peer, 1826; United Kingdom peer, 1831; privy councillor, 1840; master of the Buckhounds, 1839-1841; Knight of the Thistle, 1857; Forfarshire justice of the peace connected with the Dundee district, c.1858-1878. George William Fox Kinnaird, 9th Lord Kinnaird of Inchture, was educated at Eton College and then served as an army officer in the Guards and the Connaught Rangers until succeeding to the Scottish peerage on the death of his father in 1826. 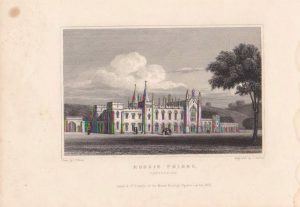 Created a United Kingdom peer as Baron Rossie in 1831. Master of the Buckhounds under Lord Melbourne, 1839-1841. Patron of Forfarshire and Perthshire Fire insurance Company, c.1842-1845. Chairman and promoter of the Dundee and Perth Railway Company, 1845 and chairman of the Dundee and Perth and Aberdeen Railway Junction Company comprising the Dundee and Perth and Dundee and Newtyle railways, c.1850-1865. Chairman of the Dundee board of management of the Scottish Widows Fund Life Assurance Society, c.1845-1865. Drafted the Forbes MacKenzie Act, 1853, which among other licensing reforms closed public houses on Sundays and also introduced the Smoke Nuisance Bill,  and the Mine Safety Bill. He was also interested in agricultural improvement and carried out experiments in the improvement of animal feedstuffs and"Lord Kinnaird's Prize Reaper" won a prize at the Highland Show in 1858. He organised evening classes in the winter months for the ploughmen in the Carse of Gowrie. In the late 1850s a corn exchange and public hall was provided for local farmers on land donated by Lord Kinnaird, but by 1867 it had been renamed the Kinnaird Hall in his honour as was explained in the Dundee Directory of 1874-75: "For public meetings, concerts, &c. , the town is tolerably well supplied with halls. The chief is the Kinnaird Hall, Bank Street, the erection of which was due to the efforts of Lord Kinnaird to provide the farmers with a place of business ; but, as already indicated, it was not sufficiently appreciated by them, and is now chiefly used for concerts, balls, fancy fairs, panoramas, and public meetings. It can seat comfortably from 2500 to 3000 people.” Created Baron Kinnaird of Rossie in 1860 after the death of his two sons so that his brother could succeed him in the House of Lords. Lord Kinnaird’s contribution to the Albert Institute is listed as a donation rather than a subscription. 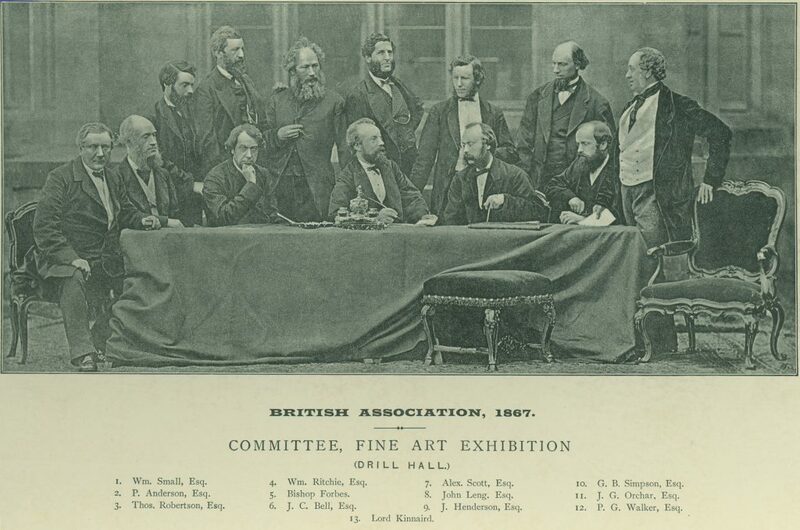 After donating to the Albert Institute Lord Kinnaird , (9th Lord Kinnaird of Inchture) was vice-president of the organising committee of the British Association for the Advancement of Science which held its 37th meeting in Dundee between 4-11 September 1867, with many of the events taking place in the newly-opened Albert Institute. Burke, Sir Bernard. (1899) Burke's Peerage and Baronetage, London: Burke's Peerage. pp. 835-836. Millar, A.H., revised by Martin, John. (2004) Oxford Dictionary of National Biography. Online: Oxford University Press. 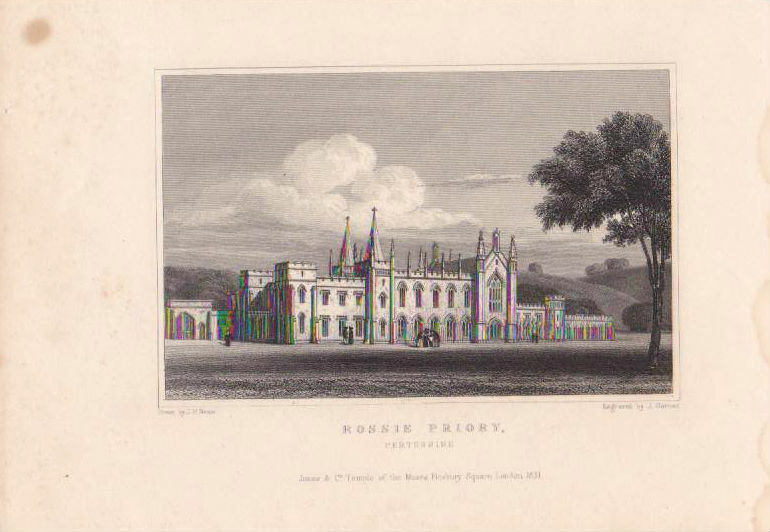 Rossie Priory Papers. Letters to Lord Kinnaird, 1863. MS100/2/Bundle631. Perth & Kinross Archive. Dundee Courier, 9 January 1878, p.3 and 12 January 1878, p.2. British Newspaper Archive. British Library website. Rossie Priory Papers. Licence to Lord Kinnaird for Rossie Priory Chapel from Bishop Alexander Forbes of Brechin, 1866. MS100/2/Bundle1093. Perth & Kinross Archive. Rossie Priory Papers. Commision to Lord Kinnaird by Grand Lodge of Scotland as provincial grand master for the eastern district of Perthshire, 1829. MS100/2/Bundle942. Perth & Kinross Archive. Directory. Dundee, 1829-30. Local Studies, Central Library. Directories. Dundee, 1834-1877. Local Studies, Central Library. Directories. Dundee, 1845-1847. Local Studies, Central Library. Directories. 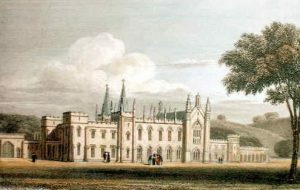 Perth, 1850-1853. Local & Family History, A.K. Bell Library, Perth. Rossie Priory Papers. Letters to Lord Kinnaird, 1857-1863. MS100/2/Bundles530, 583, 621, 1001. Perth & Kinross Archive. Directories. Dundee, 1850-1878. Local Studies, Central Library. Directories. Dundee, 1853-1878. Local Studies, Central Library. Directories. Dundee, 1856-1878. Local Studies, Central Library. Directories. Dundee, 1858-1878. Local Studies, Central Library. Directories. Dundee, 1861-1865. Local Studies, Central Library. Directory. 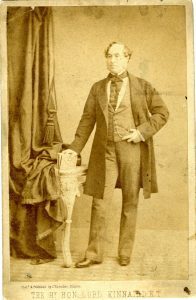 Perth, 1858-1859. Local & Family History, A.K. Bell Library, Perth. Directories. Perth, 1858-1863. Local & Family History, A.K. Bell Library, Perth. Directory. Perth, 1862-63. Local & Family History, A.K. Bell Library, Perth. Directory. Dundee, 1858-1877. Local Studies, Central Library. Directories. Dundee, 1842-1845. Local Studies, Central Library. Directories. Dundee, 1850-1865. Local Studies, Central Library. Directories. Dundee, 1845-1865. Local Studies, Central Library. Rossie Priory Papers. Letters to Lord Kinnaird, 1857-1862. MS100/2/Bundle849. Perth & Kinross Archive. Rossie Priory Papers. Letters to Lord Kinnaird, 1860. MS100/2/Bundle831. Perth & Kinross Archive. Rossie Priory Papers. Letters to Lord Kinnaird, 1860. MS100/2/Bundle760. Perth & Kinross Archive. Rossie Priory Papers. 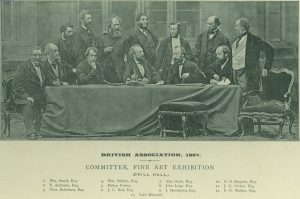 Letters to and from Lord Kinnaird, 1861-1870. MS100/2/Bundles534, 560, 657, 791, 796. Perth & Kinross Archive. Directory. Dundee, 1874-75. Local Studies, Central Library. Directory. Dundee, 1867-68. Local Studies, Central Library. Directories. Dundee, 1867-1870. Local Studies, Central Library. Directories. Dundee, 1864-1870. Local Studies, Central Library. Rossie Priory Papers. Letter to Lord Kinnaird, 1865. MS100/2/Bundle517. Perth & Kinross Archive. Perth Burgh Records. Programme of conferral of honorary burgess-ship on Lord Kinnaird and Admiral Sir James Hope, 1868. B59/24/1/138. Perth & Kinross Archive. Rossie Priory Papers. Letters to Lord Kinnaird, 1862-1877. MS100/2/Bundles544, 944, 1039. Perth & Kinross Archive. Directories. Dundee, 1871-1877. Local Studies, Central Library. Directories. Dundee, 1871-1875. Local Studies, Central Library. Directories. Dundee, 1874-1877. Local Studies, Central Library. Directories. Dundee, 1876-1877. Local Studies, Central Library. Directories. Dundee, 1867-1879. Local Studies, Central Library. Directories. Dundee, 1853-1879. Local Studies, Central Library. Directories. Perth, 1845-1863. Local & Family History, A.K. Bell Library, Perth. Directory. Perth, 1848-49. Local & Family History, A.K. Bell Library, Perth. Thanks to the staff of Local Studies, Central Library, Dundee and Local & Family History and Perth & Kinross Archives, both at the A K Bell Library, Perth. The information above about Kinnaird has been collated from a range of digital and hard copy sources. To the best of our knowledge it is correct but if you are relying on any information from our website for the purpose of your own research we would advise you to follow up the sources to your own satisfaction. If you are aware of an inaccuracy in our text please do not hesitate to notify us through our Contact page.